Plus ways to support furloughed federal workers and oppose Betsy Devos’s destructive sexual-assault policies. Sign up for Take Action Now and get three actions in your inbox every Tuesday. Yesterday, public-school teachers in the Los Angeles Unified School District, the second largest school district in the United States, went on strike for the first time in more than three decades. The teachers voted to strike after negotiations between their union and the city broke down over issues including class size and teacher salary. This action comes after a year of unprecedented teacher walkouts in states including West Virginia, North Carolina, and Colorado. 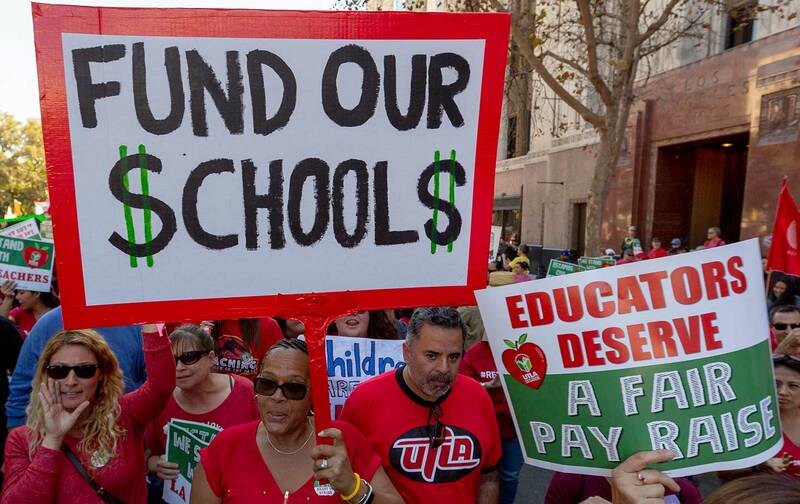 This week’s Take Action Now shows you how to support LA teachers as they demand fair pay, as well as defend survivors’ rights and help furloughed federal workers. Betsy DeVos’s Education Department plans to continue its attack on the rights of sexual-assault survivors by changing Obama-era policies under the Title IX civil rights law. DeVos’s proposal would narrow the definition of sexual assault and reduce universities’ liability for sexual assaults that occur on campus. Help stop this rule by submitting a public comment to the Department of Education before January 28.